Step by step instructions for starting your feed to OVE’s wholesale site. – Enter your Seller ID and Save Changes. Make sure your OVE Seller ID starts with a 5. This ensures it is your dealership ID and not your salesman ID. 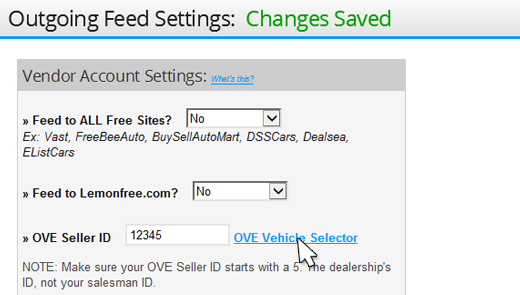 – Once you save use the OVE Vehicle Selector link to start adding vehicles to the feed. 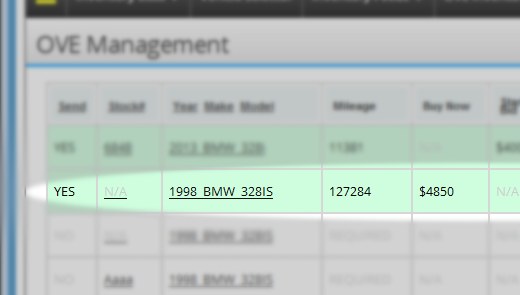 - Find and click on a vehicle to begin adding the OVE required information. You must add OVE info to each vehicle you wish to send. Vehicles will not send unless you manually add them to the feed through this process. 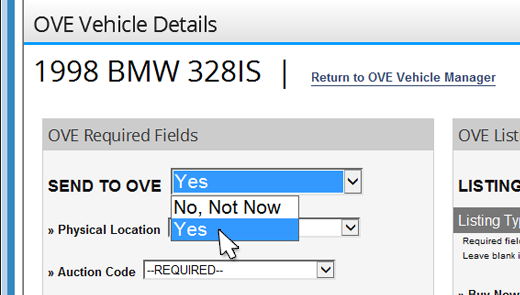 – Next, from the vehicle details page, select YES for the field Send to OVE. – Continue filling out the vehicle details. Required fields are marked –Required–. Providing minimal information may not get your vehicle sent. – If you vehicle is marked GREEN it will send in tonight’s feed! – If it remains gray you will find fields marked RED meaning they are still required for the vehicle to be sent in the nightly feed. 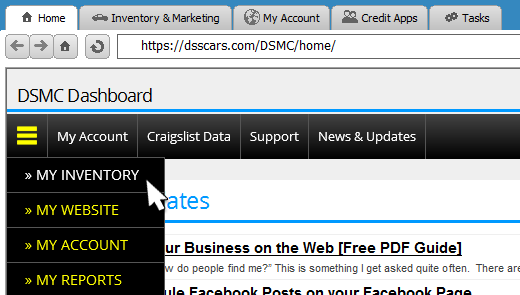 Click again to edit the vehicle and add the needed information. Once it turns green it will be included in the feed. 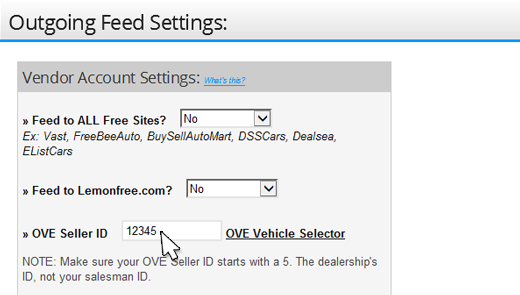 Please make sure you understand OVE’s site is for selling vehicles at wholesale. If you price vehicles too high they will not be listed. If you sell a vehicle on OVE there is a service charge! 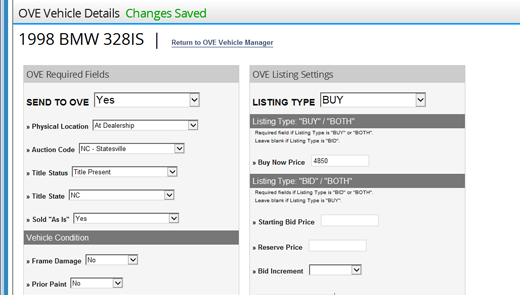 If the vehicle is already listed on OVE contact Manheim or use your OVE account to make changes / etc.